Levin also suggests that some airlines may aggressively drop flights from their schedules during bad weather. If this were to happen, storms and other events would lead to more flights being cancelled than before. Levin reports that 15,000 flights have been cancelled in the past 10 days due to storms, forcing upwards of a million passengers to rebook. People point their fingers at the DOT for imposing these restrictions with seemingly little concern for the consequences, and there’s some truth to this. The DOT really doesn’t seem to care much about the practicality (or lack thereof) of its three-hour policy. But it’s been noted before that these rules seem targeted more at forcing reform on the industry than just at saving stranded passengers. After all, long tarmac delays are hardly a widespread problem. 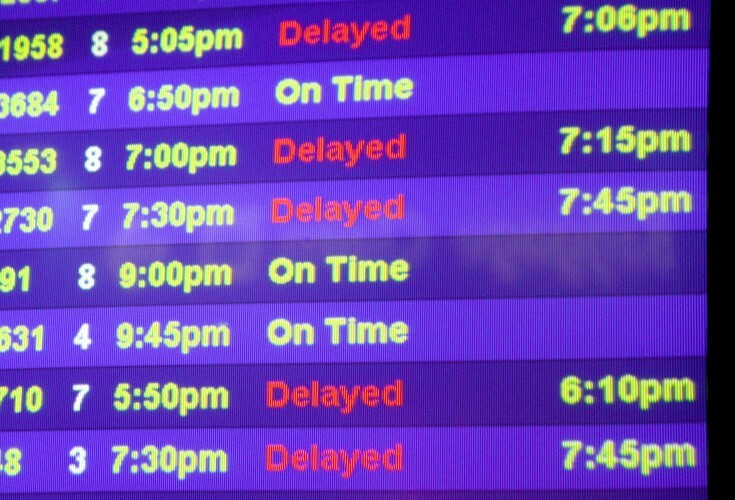 Just this past December, a mere 0.007 percent of flights had tarmac delays of three hours or more. Only one flight sat on the tarmac for four hours or more. Instead, the DOT is forcing the industry to address issues it has by and large ignored. Tarmac delays are a symptom, not a disease, and the DOT is hoping its rules force the industry to address the underlying inefficiencies that lead those rare but headline-grabbing debacles. After all, the three-hour rule got most of the attention, but the DOT’s policy included new requirements in numerous other areas as well. But what about the passengers. We’re the odd ones out here, as the DOT and airline industry hash out their differences. What’s in it for us? Are we supposed to be happy that instead of sitting on the tarmac for half a day, we get to spend that half-a-day on hold trying to rebook our cancelled flight? Personally, I’m not happy about either, but I am cautiously optimistic. The DOT has established itself as a friend of the consumer, with aggressive action against misleading practices and promises to address issues like bag fees and full-fare advertising. I think the three-hour rule is perhaps a bit misguided but is also focused on long-term goals that should benefit the traveler, such as realistic scheduling and better monitoring of delays. Hopefully those goals are realized. But enough from me, what do you think?